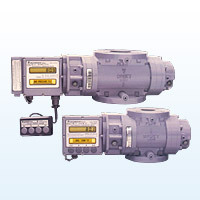 Rotary ECM Gas Meter - IMAC Systems, Inc.
• Dual LCD screens, 3 stage Tamper proof, and system status monitoring. • Protected from power loss by non-volitile EEPROM memory that stores lst hourly volumetric indexes, set-up configuration and calibration or settings. Electronically Compensate Meter with temperature compensation and ability to program a fixed factor for fixed pressure compensation. 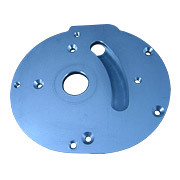 Live pressure factors, live temperature factors and live super-compressibility factors. Live pressure factors, live temperature factors and live supercompressability factors as well as full one-way communications and full audit trail compatibilities. *Other meter sizes and styles are available upon request.